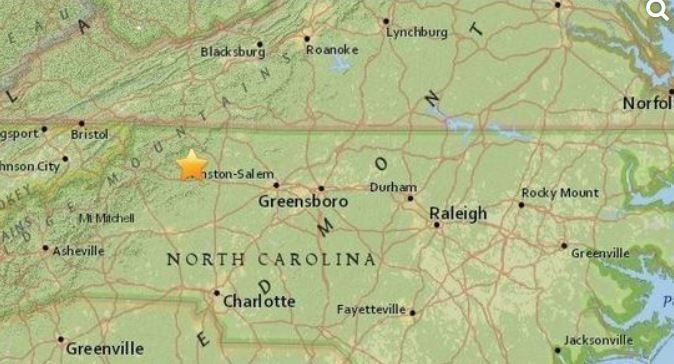 A small earthquake hit a county in the North Carolina mountains on Sunday evening, officials said. The 2.6 magnitude was in Wilkes County less than a mile from the town of Hays, the U.S. Geological Survey said. The earthquake was felt in Blowing Rock, about 40 miles away, officials said. The quake, which hit around 8 p.m., had a depth of 4.3 kilometers. Did anyone who visits our website experience this or hear the loud boom, please on Facebook or in the comment section below or on our forum.